King’s Crown, 2-28-15, Sanibel Island, SeaShell News & Shelling. SeaShell News, 2-28-15, King’s Crown, Shelling, Captiva Island. 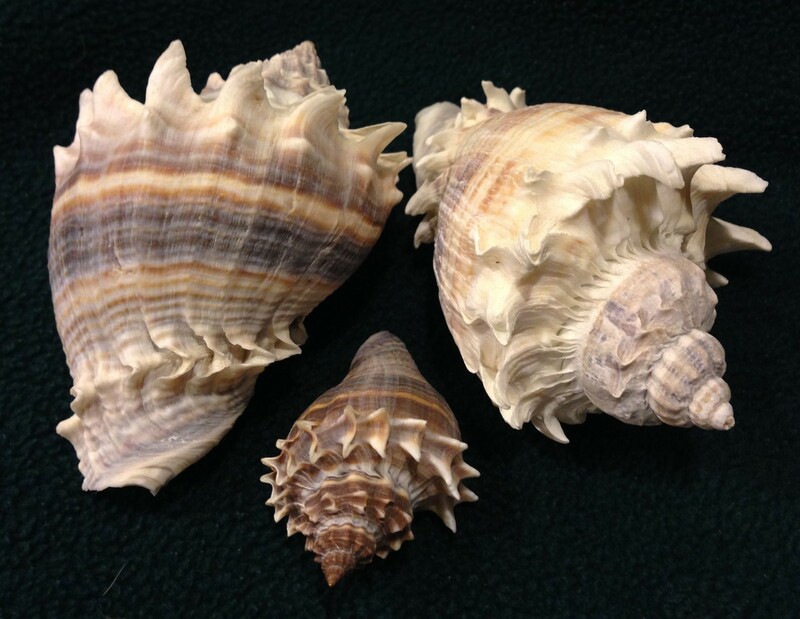 Beautiful King’s Crown seashells from Sanibel & Captiva. “Melongena corona Usually found among the mangroves and oyster beds. Up to 4″ in size. Tends to be more of a bay shell because of its habitat. This is not usually a shell to be found along the beach unless you are near a pass of other area where oyster bars and mangroves are near. Color form and spine structure can vary greatly from one area to the next.” Source: King’s Crown.